The Physio-Control Electrode Signa Gel is a gel designed specifically for use with electrodes for defibrillators, ECG devices, and EMG devices, among others. The gel is used as a conductor to help the current from the medical device pass through the skin and into the body more easily without causing burns or damage to the skin. Because of the potential for injury to the skin when no gel is present, this gel is necessary to use with paddle style defibrillators, which were the first type of defibrillator invented. 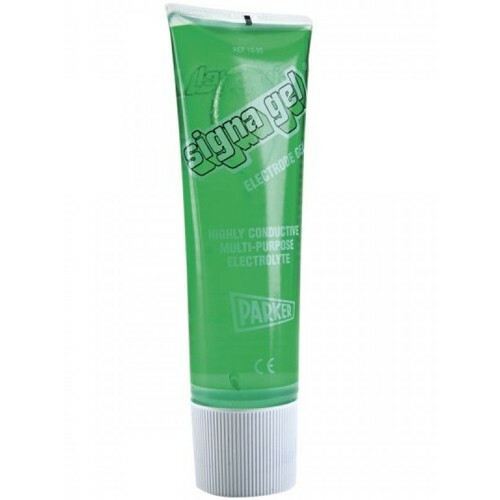 Signa Gel Comes in a clear tube so it is easy to see how much gel is left at any time. The gel is water soluble and non-staining, as well as hypoallergenic.